So you’ve used the switches and sliders to quickly build a drum part, now you’ve reached the bass part and you want to play that part from the keyboard. Not a problem let me show you how. Make sure you have the STEP SEQ button to the left of the display selected then press EDIT. Scroll down once and now select STEP EDIT on the screen. If the Step Sequencer is running, you can now enter notes from the keyboard and they’ll snap to the 16 step grid. So why does it work this way? The XW’s are designed to always keep your primary keyboard sounds live. 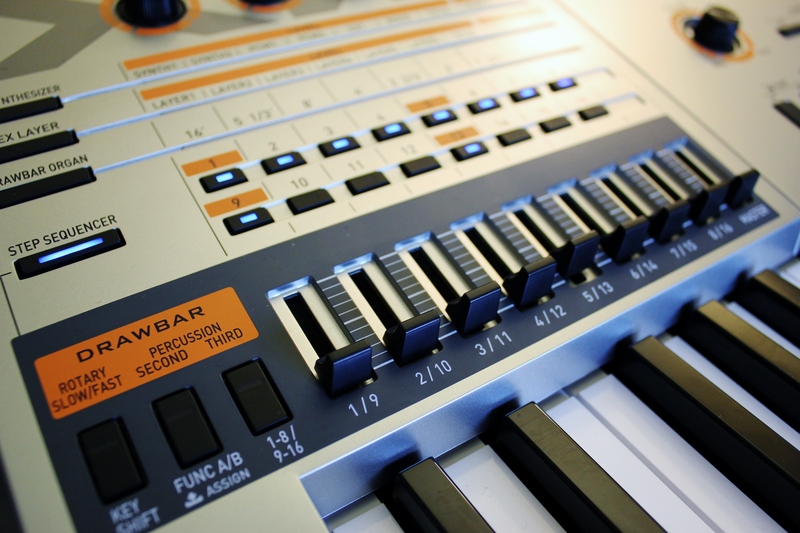 By doing this it allows you to build a sequence using the buttons and sliders while the keyboard is always available for a melody or other instrument part. Pretty cool. So if you’re not performing or building sequences live you can simply go into STEP EDIT to use the keyboard for all of your Step Sequencer parts including drums. Just stay in STEP EDIT mode and use the Part +/- buttons to switch between each of the tracks as you play the parts from the keyboard. This entry was posted on April 2, 2012 by MikeMartin. It was filed under Step Sequencer, Step Sequencer, XW Synths and was tagged with Sequencer, Step edit, Step Sequencer, XW-G1, XW-P1.